Sunday, December 16, 2018, is a day that will be remembered for many years to come. Four seminarians: the Rev. David Kofi Owusu, the Rev. Redeemer Koruku Nunyanu, the Rev. Jacob Makon Wassah and the Rev. Aandam James Kombat graduated from the Evangelical Lutheran Church in Ghana (ELCG) Seminary. This wonderful occasion was celebrated by the Rev. Donkoh (president of the ELCG), Rev. 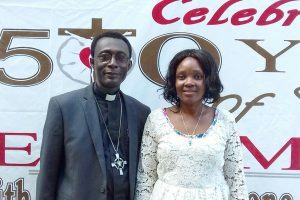 Dr. Steven and Cynthia Schumacher (Lutheran Church–Missouri Synod missionaries in Ghana), respected church leaders, and family and friends at St. Peter’s Lutheran Church in Medina. 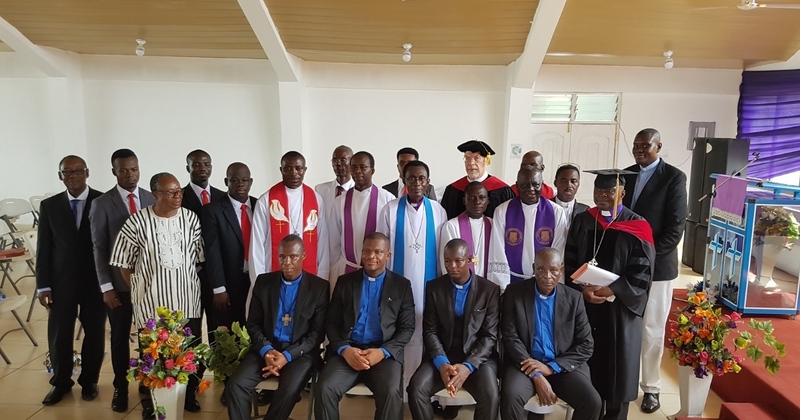 The 2018 graduates of the ELCG’s seminary began their seminary training in 2013 and witnessed changes during their six years of pastoral formation. 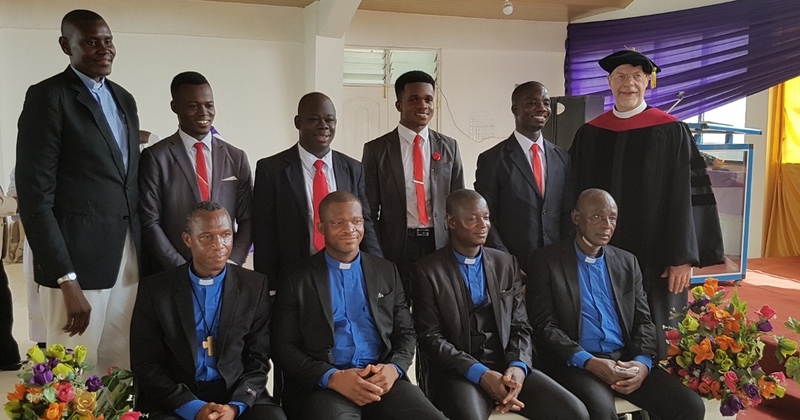 Their studies began at the national church office in the Kaneshie area of Accra. 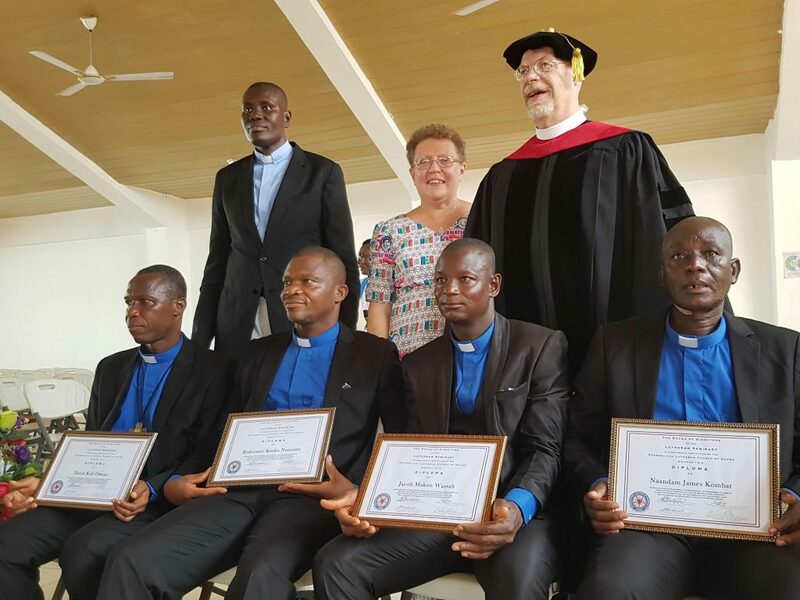 In February 2014, they were able to move to the newly completed and dedicated seminary building in the village of Saasabi, Great Accra Region of Ghana. In 2015, Schumacher, LCMS missionary and theological educator, was named the academic dean and given the task to standardize the curriculum and research the possibility of the seminary becoming accredited. 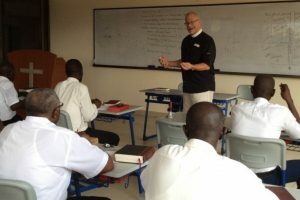 During their seminary training, these men were taught by a variety of Ghanaian and LCMS instructors. They served a one-year vicarage, then returned to the seminary for two final terms. During their final days on the seminary campus, their studies included Homiletics, Revelation, Dogmatics, ELCG History and Structure, Teaching Methods and Christian Ethics. These new graduates are going with the gifts of God and His Word and Sacraments. Furthermore, they are passing on these gifts to every person they serve; all with the same peace, purpose and power Christ has given upon them.